Everything that is done as part of Endeavour Ministries Inc. is about seeking to help people through crises with the hope of providing enough of the supports that are needed to allow them to see “light at the end of the tunnel” and some hope for a better, more stable and secure future for themselves and, in many cases, their families. Over the past twelve months we have had more than 1200 interviews with clients seeking emergency assistance for themselves and/or their families. Food also included the cost of the two meals programs run each Monday and Thursday. 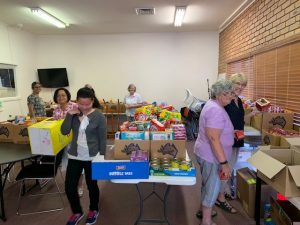 We are most grateful for donations of food this year from different individuals, the Uniting Church, Reema Pre-School, Narre Hills Community Church and a supply of bread from the Endeavour Hills Police. 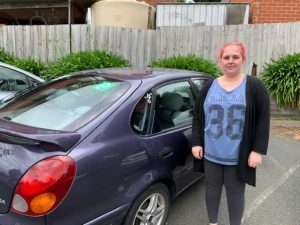 The rising cost of rental ( now averaging around $380 per week in Endeavour Hills) has put a huge strain on many low income families who struggle to cover the cost of rent as well as rising utility costs. Thanks to funding from the Lyndle White Foundation and the Myer Foundation, we have been able over the past 12 months to assist 84 families in housing stress either with rent arrears, emergency accommodation or with help with rent in advance and/or bond on newly acquired accommodation. The program is called “Responsible Rescue” and it encompasses not only financial assistance but also opportunities for families to explore ways to best manage and maximise limited income through programs such as “Money Minded” one on one budgeting advice, and help to Centrepay utility bills. Financial help has been provided to meet many of the emergency needs of our disadvantaged families, especially where some unforeseen circumstance arise (eg accident, illness, – even a house fire where the family lost everything) These bills have included utilities, upfront specialist fees or chemist bills, education expenses, car repairs or transport costs. o CLOTHING & HOUSEHOLD GOODS – especially helpful for families moving into accommodation, or individuals needing to present well for job interviews. o SHOWERS The Centre also provides for the very practical need that many homeless have – namely somewhere to have a shower and shave! o LOAN SCOOTER We have been able to add an electric scooter to our loan collection this year and this is currently being used by an elderly lady who lost her licence and independence after suffering a recurrence of cancer. This has been an invaluable service for many of our struggling families this year. Not only are they able to access loans at no interest but are also able to repay directly from a Centrelink benefit at an affordable rate. Every loan is made in the context of a comprehensive budget analysis which is printed out so that it might benefit the loan recipient when contemplating other financial commitments. Loans for whitegoods also included a significant cost saving through the Good Guys’ special no interest loan discount deal. There were also many loans to ensure financially struggling families were able to afford the compulsory laptop required by the local secondary college. 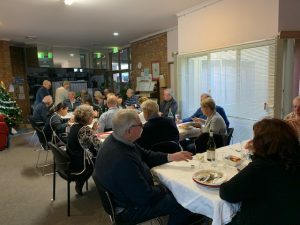 Every Monday at St James Hall Dandenong, anywhere between 60 and 90 people arrive for a home cooked two course meal provided by our amazing team of volunteers who not only provide the meal but also provide a listening ear, friendship and support to those who come. 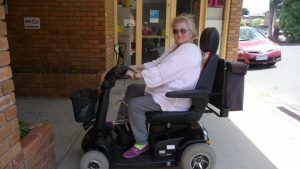 People with specific needs are directed to where they can get help – including the Andrews Centre. “Extra’s” including different fruits and other staples are also provided to the dinner guests to take home. The Andrews Centre also has a meal every Thursday lunch time where the guests this year have enjoyed some practical advice on subjects of their interest provided by Rosemary who heads up our psychology team. Both these meals provide important nutritional benefits but also provide a valuable social outlet for many lonely and socially isolated individuals. Beginning the work of preparing hampers! 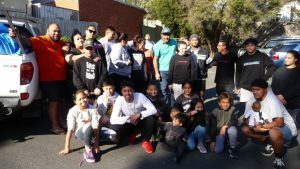 The end of the year saw very generous donations of Christmas food and toys from St James Church Dandenong, The Sisterhood, Endeavour Hills Neighbourhood Centre and Uniting Church, the staff at Gleneagles Secondary College and a number of generous individuals. St Paul Apostle Catholic Church and the Lionesses also made up a total of 17 beautiful hampers for us to distribute, As a result we were able to give away around 90 hampers, many with toys. Unfortunately there is never enough housing available to meet the very great need for this service. Over the past twelve months we have provided housing for 10 families and 2 singles. All were homeless and in desperate need of somewhere to live. They generally stay for a period of around three months. Our own case worker and the housing support worker from WAYSS work with them to overcome any barriers to them achieving stable and more permanent accommodation. Two of the families have been in our accommodation for more extended periods due to the complexity of their particular situations. One of these families involved a father who took over sole custody of his two young girls but had nowhere to live with them. After much work to help him overcome barriers to affordable housing he is now in private rental and doing well. The other family is still with us and we are working to provide them with the legal help they need to appeal a government decision to deport them after they were abandoned by the mother’s Australian born husband. 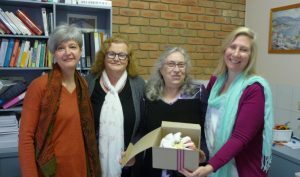 Other families have included a number who have been victims of domestic violence who have benefited from the many services available at the Centre, including emergency relief, material aid and counselling. One mother lost her home because she was forced to leave her work to care for her autistic son with mental illness issues. She simply could not keep up with rental costs where she was living. She has now found more affordable rental and cannot thank us enough for the help she was given. Many have needed bedding when they have come to us and we have been able to supply furniture and whitegoods to some who found private rental but had no furniture or household goods to move in with. This has definitely been the busiest year ever for our counselling service, By early October we actually had to close our books for all the psychologists because their waiting lists were so long and there really was no chance that anyone else would be able to see them this year! So many people are desperately in need of the services the Andrews Centre provides because they are simply not in a position to pay the standard rate of $160 required for a visit to the psychologist. Even with the Medicare rebate of $84.00 they cannot afford the gap. Depending on the complexity of a given client’s issue, the maximum number of visits available under Medicare may or may not be adequate to meet their needs. It often isn’t!! 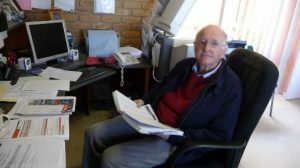 We are so fortunate to have the services of a whole team of psychologists committed to all that the Andrews Centre stands for and who have dedicated extra time and energy to provide other helps to their clients, including home visits and supportive letters, reports or accompanying clients to important meetings. This year we have welcomed the addition of Silvana, a qualified and experienced social worker and counsellor, to our counselling team. Clients with complex situations requiring the services of a social worker or case manager are referred to her and she has already done great work to support these clients through difficult situations so that they are able to get “back on track” and in control of their particular situations. 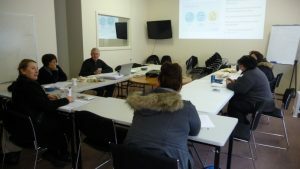 Over the past twelve months there have been over 4,500 individual appointments for counselling at the Andrews Centre as well as two group counselling programs and a support group for families of alcoholics. Referrals to the Andrews Centre come from an ever increasing number of doctors, paediatricians and other health professionals. A number of young people are being referred from schools in the local area and beyond. and Centrelink Social Workers and other agencies are also referring clients to us. For many families struggling financially the Andrews Centre is a vital service allowing them to access services they would otherwise struggle to afford. The feedback from clients garnered from recent evaluation forms showed just how valuable and vital this service is to many struggling with grief, anxiety, depression, trauma relationship breakdown and many other issues. It can literally save lives! Mr Noel Martin L.L.B. (Hons) B Juris. continues to provide many disadvantaged people with valuable legal advice, which is often an important additional support alleviating stress for people struggling with high anxiety as a result of circumstances such as family breakdown or domestic violence. Noel has been invaluable in helping many clients who have feel helpless in the face of a complex legal system which renders them powerless to act to protect themselves or find justice in their particular circumstances. 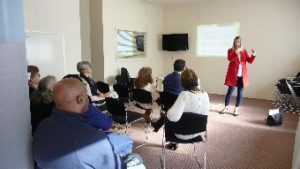 Education also extended to providing a course in money management entitled “Money Minded” run by Bill Matthews and focused on such things as budgeting and money saving measures. One on one tutoring continues to be provided at the Centre so that identified learning disabilities can be addressed. 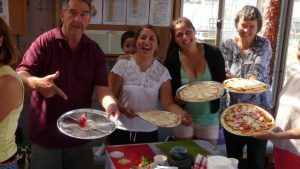 In addition the Centre provided Migrant English classes – such an important service for people in our community isolated by a language barrier. Last year Judy had three Spanish students and Flori taught two Romanian men. 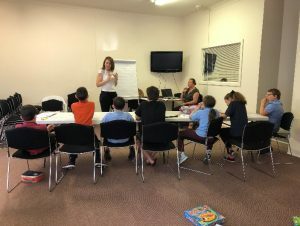 The Andrews Centre has run two sessions this year to help educate a number of our clients who struggle to cope with children with disabilities and really need the support a NDIS package would bring them. The seminar included a guest presenter with expertise in service provision but also mothers willing to share their stories of how they have successfully navigated the system. This is particularly important for many of our clients who often do not have the capacity or confidence to accurately and comprehensively represent their child’s needs and required family’s support. The seminars assisted families with their NDIS application so that it accurately reflects the level of funding they require. 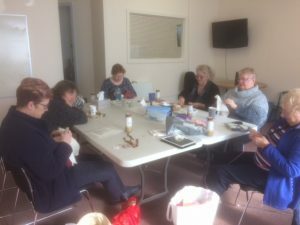 In addition to the weekly meals and the opportunities for people to be involved in other community groups such as the Lionesses who meet in the front room, the Centre continues to run a monthly quilting group entitled “Sew Loved”. It is a great way to build friendships at the same time as pursuing a favourite hobby! The group has also made some beautiful quilts to donate to families in need. Unfortunately our beloved co-ordinator has had to retire as of the end of this year, so we are hoping to find a replacement for the year ahead. The community garden continues to be a great source of enjoyment for many as well as a centre of productivity! Our community meals have enjoyed much of the produce this year in the weekly meals including tomatoes, zucchinis, potatoes, lemons, pumpkins and different fruits in season. This year we have been able to add a composting toilet (very necessary for us “oldies”) and a green house so that we can raise seedlings in cooler weather. This year, thanks to Judy acquiring some free tickets, we were able to afford 57 lucky individuals a free trip to, and a day of free rides at ,the new Gumbuya World. 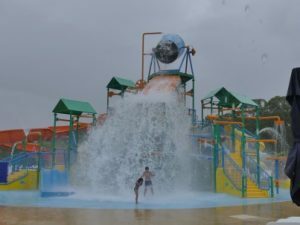 Despite the unseasonal rain, it was a great day and everyone thoroughly enjoyed the range of activities on offer. The Centre was also able to secure tickets to a Magic Show and Circus Quirkis for families to enjoy together. 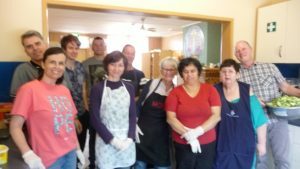 Over the past 24 years Endeavour Op Shop has been a major source of funding for the activities of the Andrews Centre. The shop is also a valuable resource when it comes to providing clothing, furniture and household goods for families in need. The team at the shop do an amazing job keeping the shop going as each week they not only clean and serve, organize and re-organize ,but also sort through mountains of donations to make sure only the best and most sellable itemsbfind a place in the shop. Two of the team managers (Liz McLennan and Jenny Corcoris) and a number of the other volunteers team members have been faithful volunteers since the shop opened – quite amazing! We are grateful also to the many people in our community who donate goods to the shop so that it remains profitable. 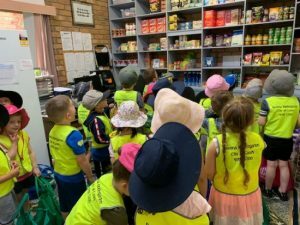 It was an absolute delight to have a visit from a local “little people” at Reema Kindergarten who walked around to the Andrews Centre lugging food they had collected for our pantry! One of the most pleasing aspects of the work we do is to see the wonderful generosity of our wider community. 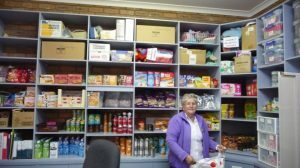 Apart from regular donations to our Op Shop, we also enjoy regular donations of food, furniture, linen, household goods and other materials of use to us either to sell at the shop or to directly give to families in need. 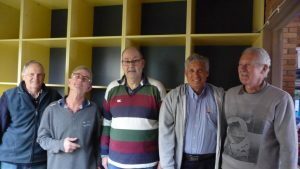 We have had practical help with the maintenance of the Centre, the emergency houses and the garden from Maranatha Christian School, from Pakenham Planet Shakers, and from volunteer handymen such as Alan Lesich and Taj Jedrys who had done many“fix it” jobs at one or other of our venues for which we are very grateful! 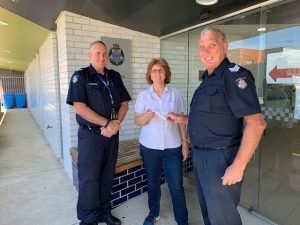 Endeavour Hills Rotary ran a dinner to raise funds for the Centre and the Endeavour Hills Police and Friends ran yet another Charity Golf Day to also help raise funds. 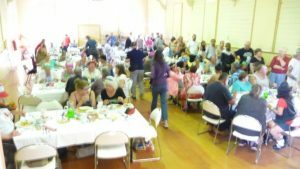 It has been a busy but rewarding year where much has been accomplished because of the generosity of many groups and individuals who volunteer their time and/or their finances to make sure the most disadvantaged in our community or those in crisis for whatever reason, are supported and helped at their time of greatest need. It is a great joy each time we hear of families who have overcome adversity , have found work or accommodation, have come through times of depression to find hope and “light at the end of the tunnel”. Sometimes it takes years and sometimes it is more short term. However it happens, it makes what we do all worthwhile and we thank all who support us to keep this ministry going! !